Is it Time to Downsize? When it's time to embrace a simpler lifestyle. Living simply, or at least having more time to enjoy life, is one of the benefits of a Lowcountry lifestyle. If you’ve got a larger-than-necessary house, you might be dreaming of less maintenance, and less “stuff” in general. With interest rates on the rise, if you’re thinking it’s time to downsize and buy a new home – now is the time to do it while interest rates are still historically low. Once you needed the room to raise a family, and now that they’re on their own – your house feels too big. It can be hard to move on from a home that holds so many memories, but downsizng to a smaller house, townhouse or condo can help empty nesters start a new chapter in life. Some homeowners are able to sell their large homes and pay cash for a smaller residence. Putting your equity toward a more compact property can free up cash for doing other things including traveling, working less hours, paying off other bills, or pursuing a hobby. If you are of a certain age and your home has too many stairs, too much yard, or requires too much effort to maintain, you could find it physically challenging to stay in your home as you grow older. If you plan to remain in your area indefinitely, downsize to a residence that will accommodate the aging process for easier life transitions. Big houses come with big mortgages. If you’d like more disposable income, or less time at work, reducing your mortgage payment is one of the best ways to cut monthly expenses. Smaller houses come with less maintenance, and most townhouses and condos come with no exterior work required. Life is short. If you’ve been dreaming of an around-the-world trip, or going back to school, or just having more free time, cashing out equity in your big house can give you the means to pursue your dreams. 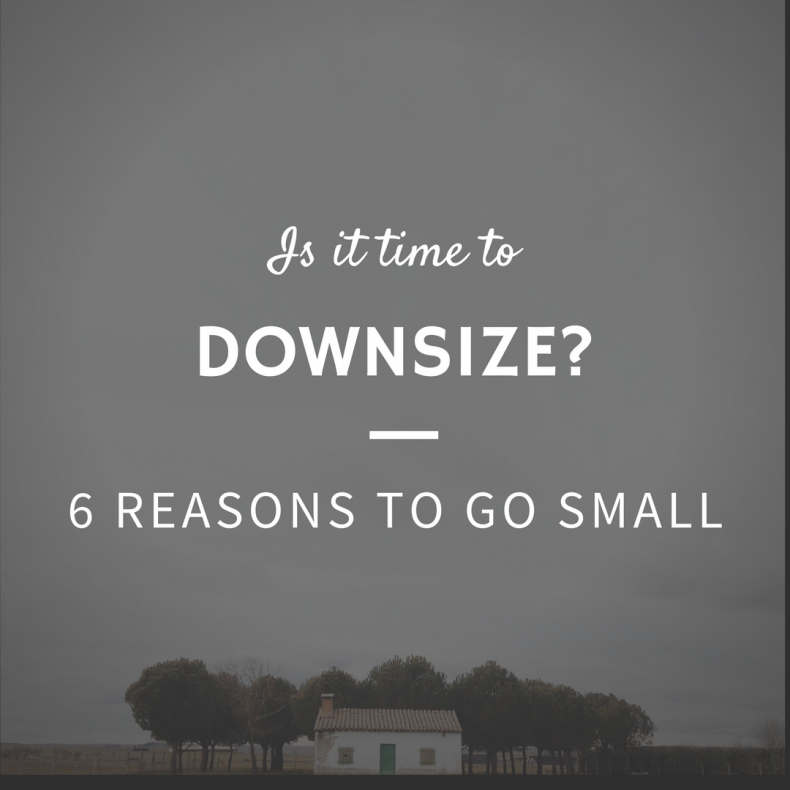 If you’re over mowing the yard on Saturday, or losing most of your weekends to cleaning a big house, downsizing can give you your life back. Smaller homes mean less work and more time to do what you want. If you’ve been thinking about downsizing, this is the year to go for it. Downsizing can make good life sense: It comes with new neighbors, new scenery, a chance to redecorate or start fresh, and a chance reinvent your life. Interest rates are on the rise, so simplifying your life this year also makes good financial sense.